"Sungkai" or in English "break their fast together" for Muslim. 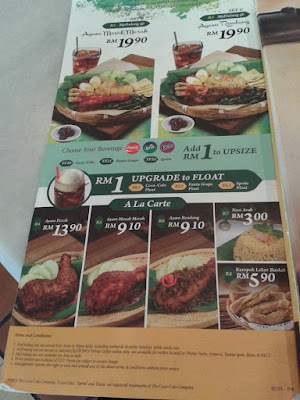 Let Sungkai at OldTown White Coffee Restaurant with more than 200 outlets across Malaysia. 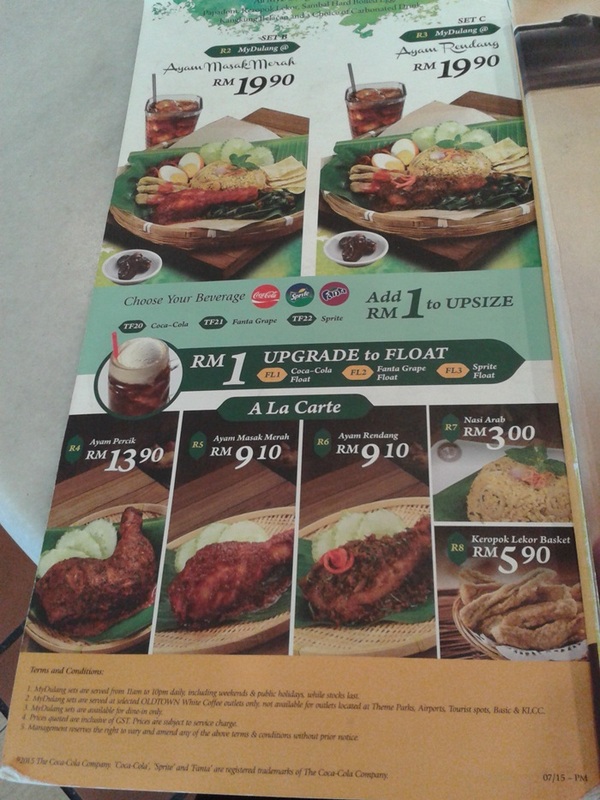 The new menu is aimed to attract customer to come eat in line with Raya festive season in June and July 2015. 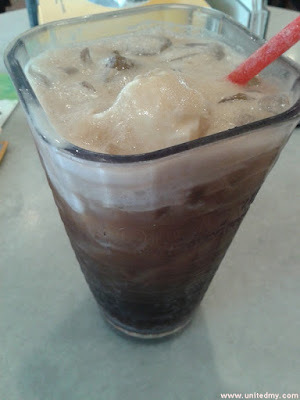 Definitely make it much more attractive rather than just the average OldTown White Coffee Menu. 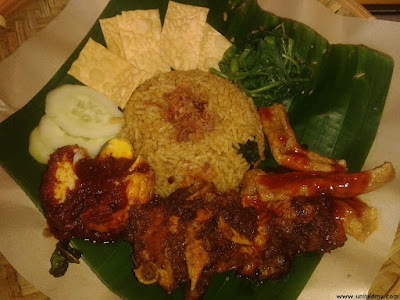 For instance, KFC Malaysia made a wise decision rolling out " Ayam Kicap Meletup" in conjunction of the incoming Hari Raya 2015. With "Ayam Kicap Meletup" or in English as Dark Soy Sauce Chicken Explode and OldTown White Coffee's MyDulang Set, everyone could enjoy more choices of meals while increasing their mood in this coming festival. Not really went there for OldTown White Coffee. 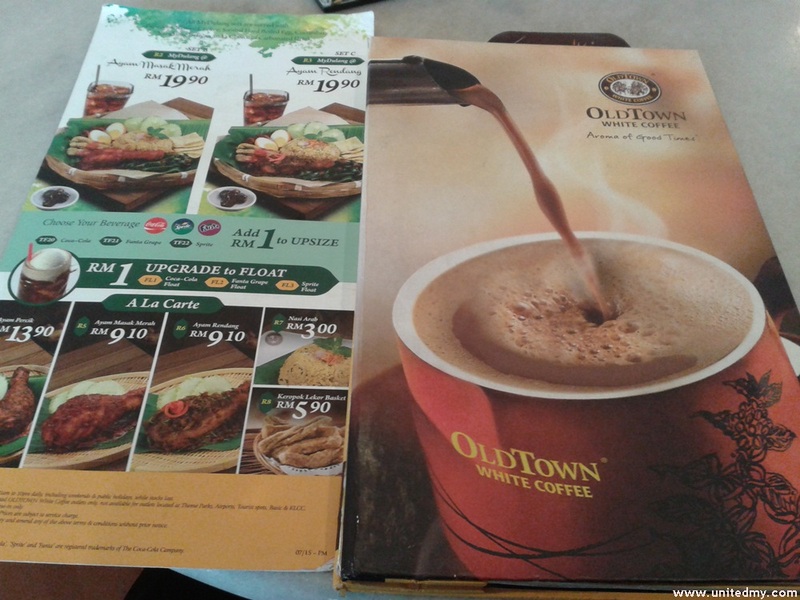 Was really amazed by OldTown effort in promoting MyDulang Set. There is a big signboard outside the restaurant with a really huge promotional illustration. Coca-Cola Float for the hot sun in lunch time coupled with spicy and oily meal.